Alt-rock mainstays Death Cab for Cutie have achieved something remarkable with their latest studio album, Thank You For Today, that they could perfectly sum up their record through its title and album art. Depicting a sky image within a larger border with some tricky shapes tossed in from clipart for flair, it is bland, poppy, upbeat and defeatedly functional. 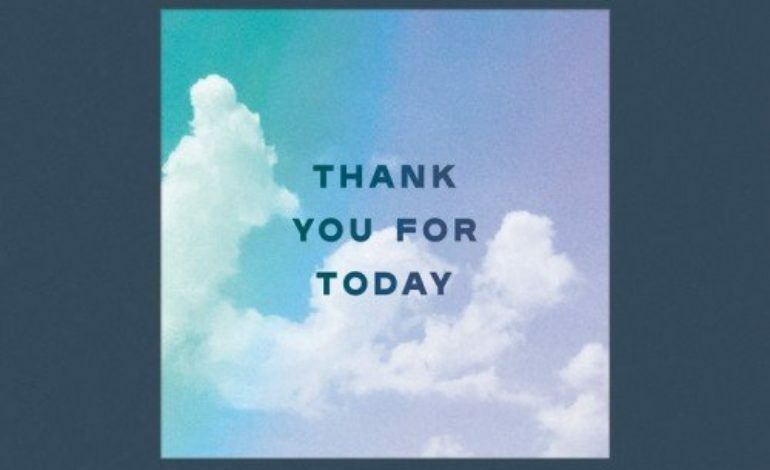 Thank You For Today as a title sounds like a message on a greeting card. The album-title-over-sky effect looks like a trumped-up ripoff of the already boring album cover for LCD Soundsystem’s American Dream, which is a comparison Thank You For Today would slobber at the mouth for. This new record, the ninth full-length studio effort by the five-piece, leans definitively into a contemporary pop sound, incorporating electronic elements into their sound, just like pretty much every other indie band over the past few years. Why beat against the current when you can swim right into it? Someday, someone is going to have to classify this ever-expanding field of indietronica, but this Death Cab for Cutie record is not that day. To the record’s credit all of the tracks are well-produced and contain a number of interesting ideas, but they more often than not feel overproduced, jumbling too many ideas together without fully developing any of them. And overlayed over all of that is auto-tuned singing that is not poorly used but quickly overstays its welcome, even as it takes up the majority of the record. This overproduction leaves Thank You For Today feeling dryer than a bone. It is a shame because the tracks on this record are not boring, in fact, songs like “Northern Lights” and “Near/Far” are exciting, with simple drum beats and bass lines that work well together to create a tight, pop framework that just feels wasted being paired with lame-duck vocals and lyrics. The result is a track listing of songs that come across without personality or even a heart, which is disappointing from one of the pre-eminent emo-pop acts of the 2000s. The only thread tying anything together is Gibbard singing about the sky, or what the sky looks like, or what the sky represents–seriously there are at least three songs built around the image of the sky, which is just irritating by the end of the record as opposed to tying anything together. Even the most emo track on the record, “You Moved Away,” depicting a breakup of a relationship, is just not compelling relying on its emotional content. Overall, it’s kind of like a boring Arctic Monkeys record without any British wit to bolster it. The feeling is just that, nine records in, the boys driving the Death Cab just were not inspired enough on this new record, preferring a product sharp, clean and poppy to the point of breaking.